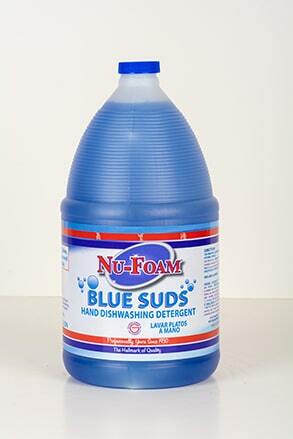 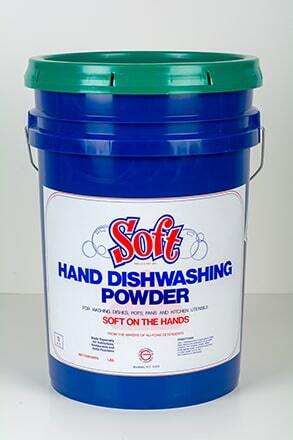 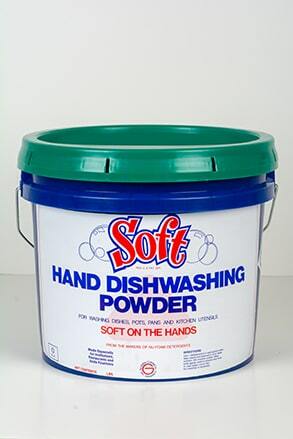 NU-FOAM® Blue Suds is a powerful liquid detergent for hand washing all Dishes, Pots, Pans and Utensils. 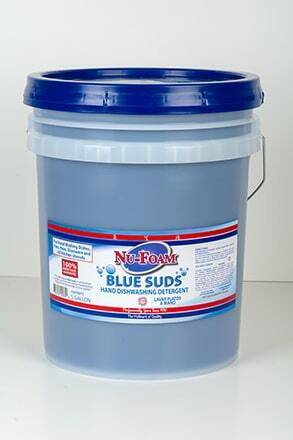 It gets the job done in your kitchen and is comparable to other leading blue liquid detergents but easy on your pocket! 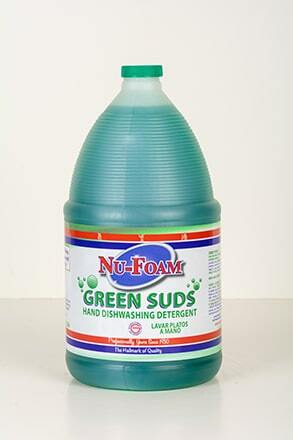 NU-FOAM® Green Suds is a special formula which is tough on grease while being soft on your hands. 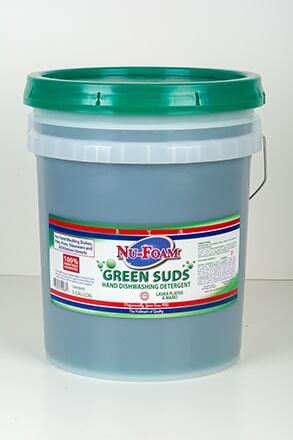 Removes stubborn grease and fats from your dishes, pots & pans and all kitchen utensils. 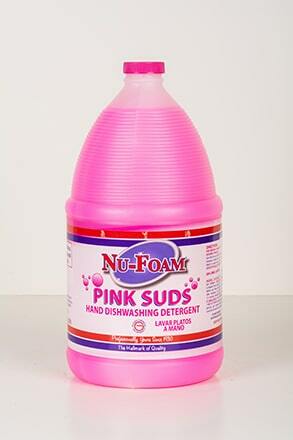 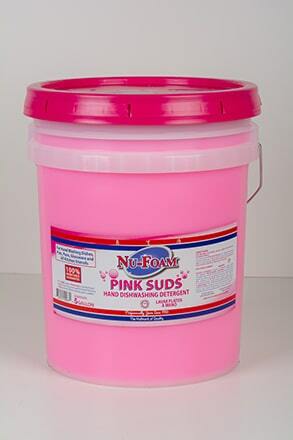 NU-FOAM® Pink Suds is a top and economical quality manual dishwashing detergent which removes tough foods and soils from pots and pans and all kitchen utensils.